Starting from the April 11th, 2012, it has become possible for the residents of Estonia and Finland to send and receive cross-border parcels. The network uses high-tech parcel lockers developed and produced by Cleveron. Cleveron’s customer and parcel locker network operator Itella SmartPOST said that the new service has generated great interest among business clients. The large proportion of business clients is international e-commerce companies. Managing Director of Estonian Itella SmartPost Risto Eelmaa said. He said that the most popular goods Estonians buy from Finland are clothes and home electronics. The cost of sending the smallest cross-border package to SmartPOST parcel locker is 10 euros. The price for the biggest one is 14 euros. The prices are slightly higher than sending parcels to Finnish post offices. In Finland, Itella SmartPOST operates the network of 50 and in Estonia of 52 parcel lockers. Lockers were developed and produced by Cleveron. Via the network of parcel lockers, it is possible to send parcels from Estonia also to 1 050 Finnish post offices. 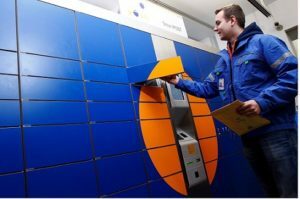 This year Itella will extend its parcel locker network to 100 in Finland.